We're perfectionists. Sometimes this gets in our way, sure, but most of the time, having high standards for everything means that you, the customer, get better products. 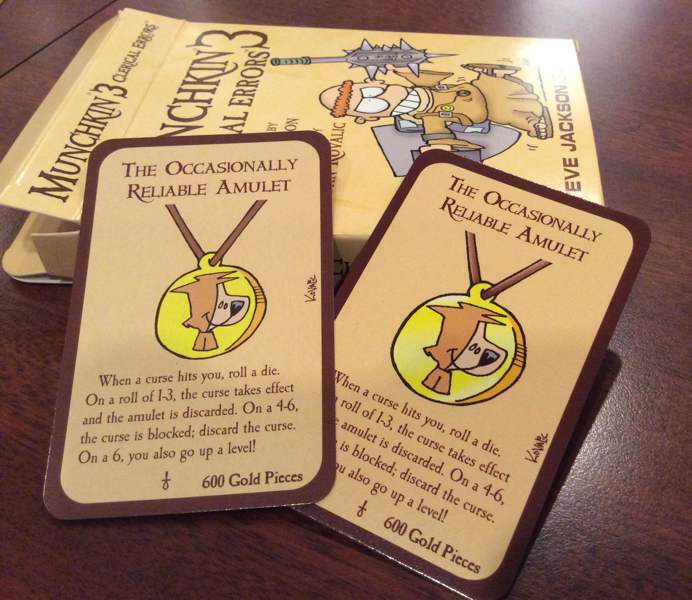 Case in point: Munchkin 3: Clerical Errors. The coloring on the cards just wasn't popping the way we wanted it to. It wasn't right. So we changed it. We updated it. You can see the old and new version of a card in the picture on this post and, as you'll see, the change is quite subtle. But it wasn't right. We wanted to make it right. So we did. This is also not the last such color change we'll do; several Munchkin expansions will be releasing in the future with similar color updates, so keep an eye out for them!